The legendary critic, who died recently at the age of 91, passionately defended freedom of expression in jazz, politics, and life. 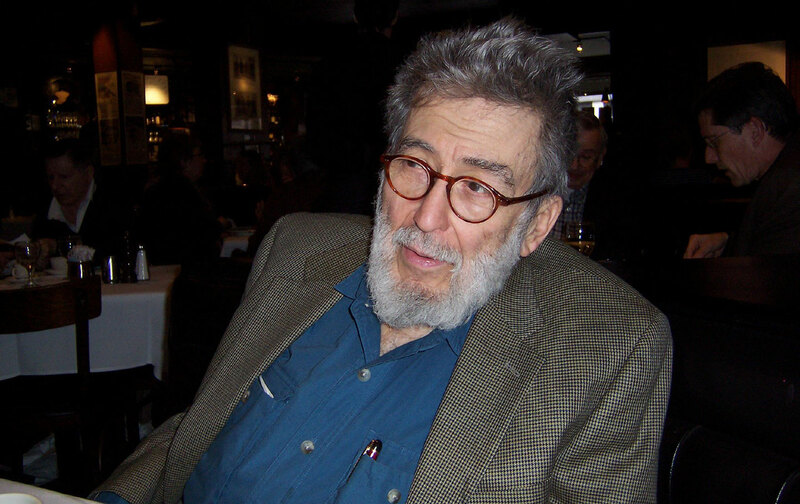 The jazz critic, novelist, and free-speech advocate Nat Hentoff died on Saturday at the age of 91. In well over a half-century of writing and advocacy, Hentoff passionately defended the importance of freedom in the most capacious sense—as the unqualified right of expression, whether that meant a riff from John Coltrane’s sax or an unpopular, even offensive idea. In his work for this magazine and for other publications—and in his dozens of books—Hentoff took a crowbar to the doors guarding the shrine of American culture, forcing its protectors to allow a much wider range of styles and influences in. To the extent that jazz is now considered a—perhaps the—quintessentially American art form, Hentoff is to a great extent responsible. Duke Ellington was not only the most protean and durably original of all jazz composers. He was also the most astonishingly, creatively productive composer in American history so far. The latter claim is not yet taken seriously, to say the least, by the musical academy and its ancillary nurturers of “high art.” They see the Duke, if they see him at all, as a black entertainer with certain engaging minor skills. But no “serious” composer could stay on the road with a band for more than half a century, playing dance halls, nightclubs and other such places where “serious” listeners hardly gather. I no longer think, as I once did, that it is important to persuade the official definers of official culture how extraordinary a national resource Ellington’s huge body of work continues to be. It will, after all, outlast them, and perhaps their successors will be able to jettison stereotypes and listen inside the music. In one of his earliest “Indigenous Music” columns, Hentoff told his version of one of the most famous moments in the history of jazz. It was about Billie Holiday, whose music he was reportedly listening to in his last moments alive. In 1957, less than two years before she died, Robert Herridge, Whitney Balliett and I put together The Sound of Jazz for CBS-TV, and the section of that hour which has been replayed most often has Billie, sitting on a high stool, singing Fine and Mellow to her once and former very good friend, Lester Young. They had not spoken for a long time, but that afternoon they connected in and through the blues, looking directly into each other’s eyes, their music softly overwhelming everything else around and beneath them. And in the control room, the engineers, the director, the producer, all of us had tears in our eyes. None of us was the least embarrassed either. We were grateful. And so are we. Farewell, freedom fighter. Subscribers can read all of Hentoff’s Nation writings in our digital archive. To subscribe, click here.